Established by a joint resolution of Congress in 1962, President Kennedy proclaimed May 15 as National Peace Officers Memorial Day, and the calendar week in which May 15 falls, as National Police Week. In 2000, Chief Bill Young (Deer Park Chief of Police from 2000 to 2008) started having the Peace Officers Memorial Service in Deer Park. Because of its success, the Deer Park Police Department (DPPD) has continued to have the event every year since then. 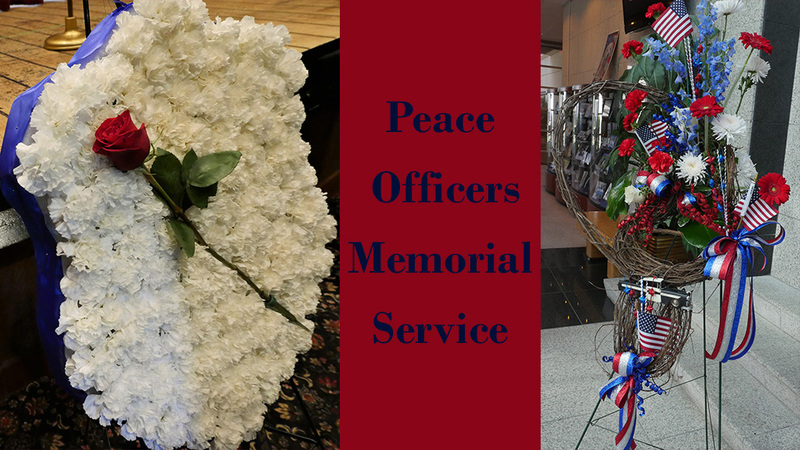 Chief Gregory L. Grigg would like to invite you to the 19th Annual Peace Officers Memorial Service on May 15 at 4 p.m. at the Municipal Court and Theater Building, located at 1302 Center Street. We will honor those in law enforcement who lost their lives in the line of duty. This event is in recognition of National Police Week, May 12-18, 2019. Please plan to join us for this important event.